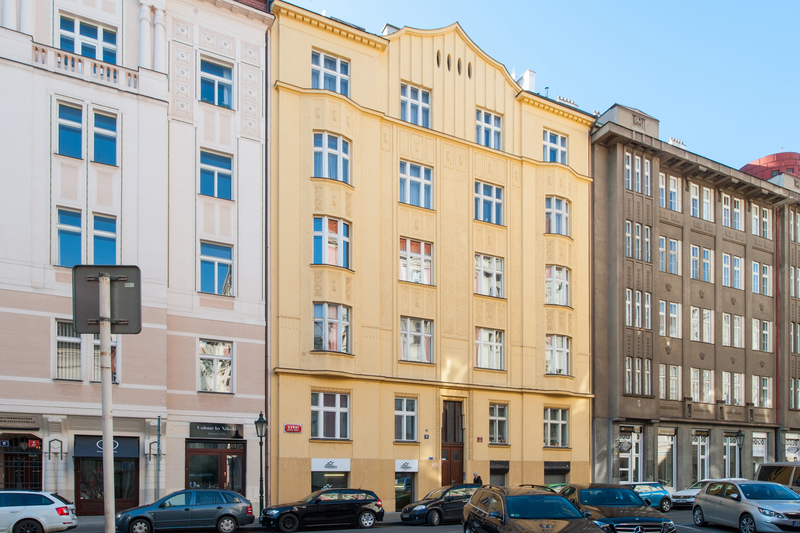 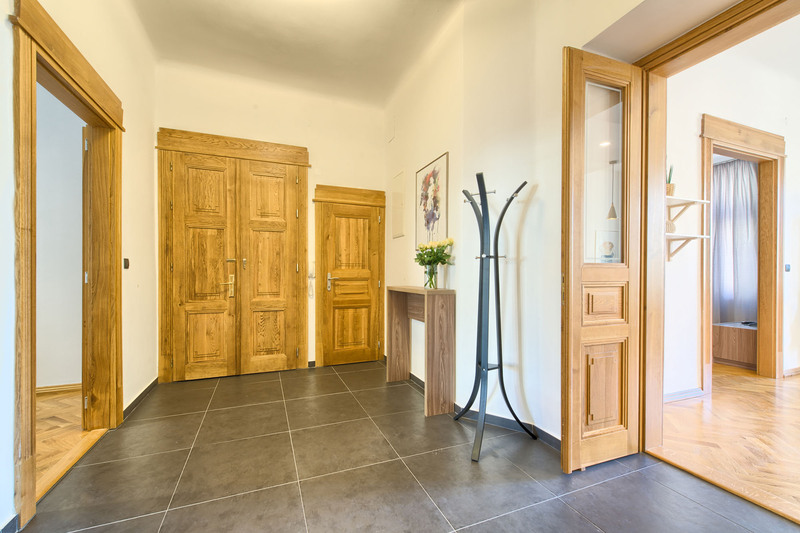 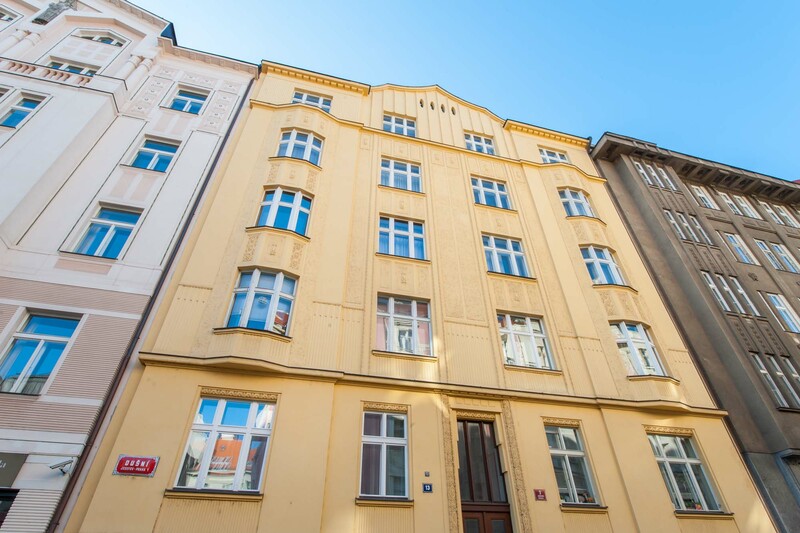 With an exclusive location directly in the Jewish Quarter, only 400 meters from the famous Old Town Square, this two-bedroom apartment creates a unique historical atmosphere guaranteeing you a pleasant and memorable stay. 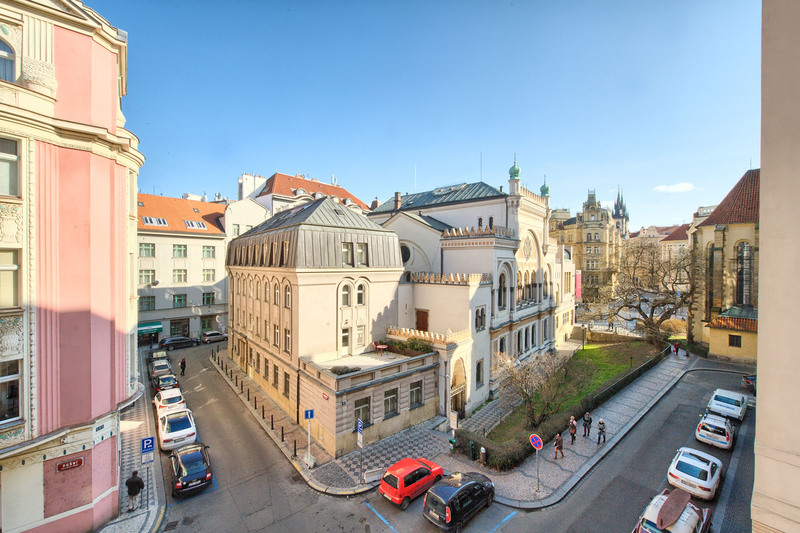 The living area windows offer breathtaking views to Spanish Synagogue, one of Prague’s most significant landmarks. 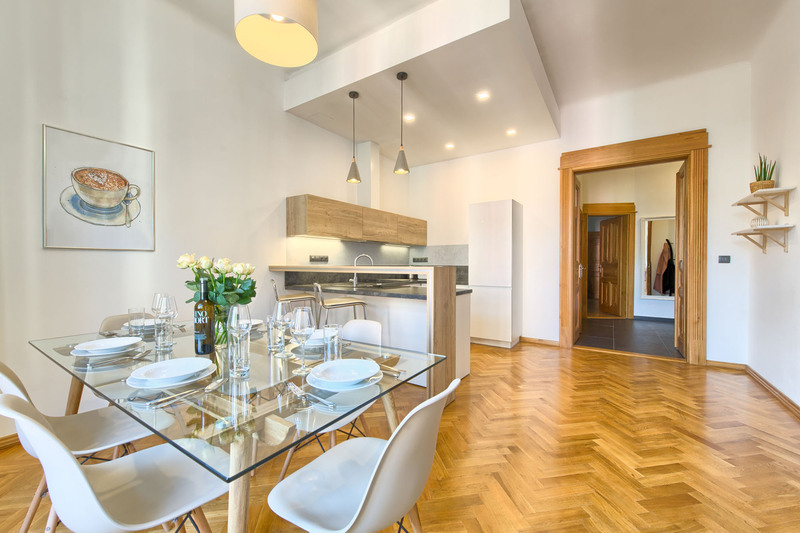 The special atmosphere of this apartment is emphasized by its spaciousness (more than 97 m2) and huge windows, making it exceptionally bright and sunny. 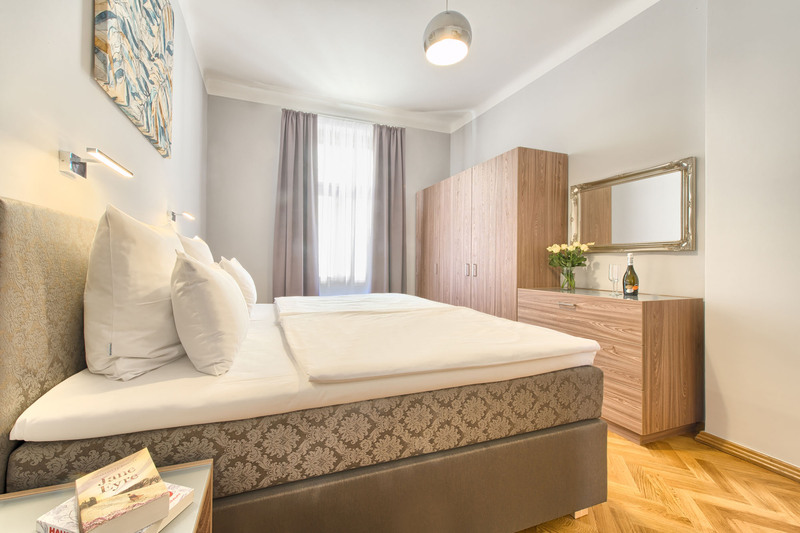 Both bedrooms, equipped with high quality king-sized beds are oriented to the backyard, therefor ensures quietness and restful sleep. 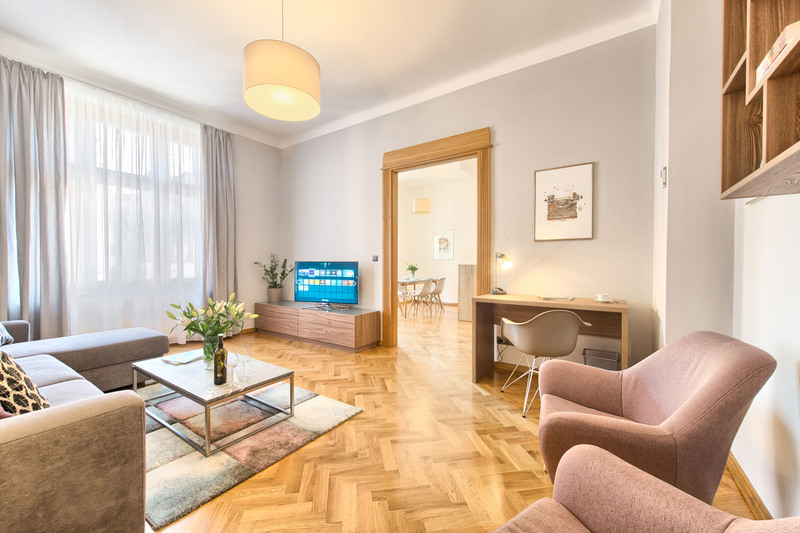 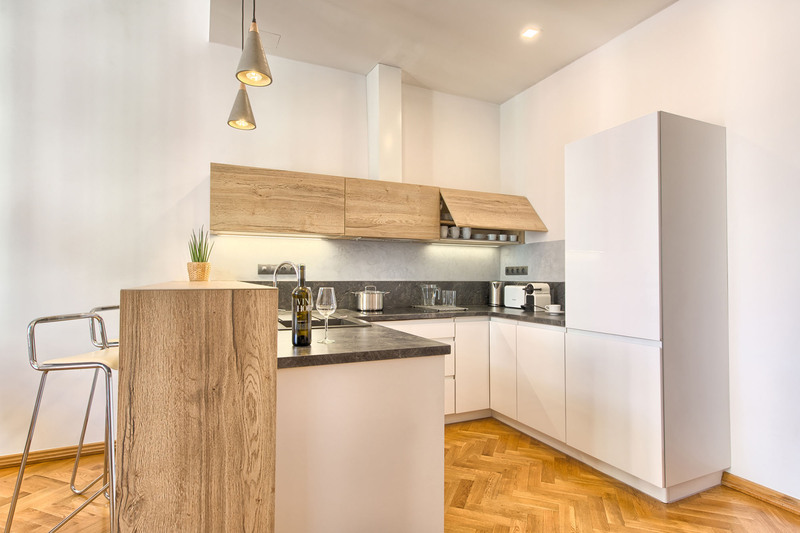 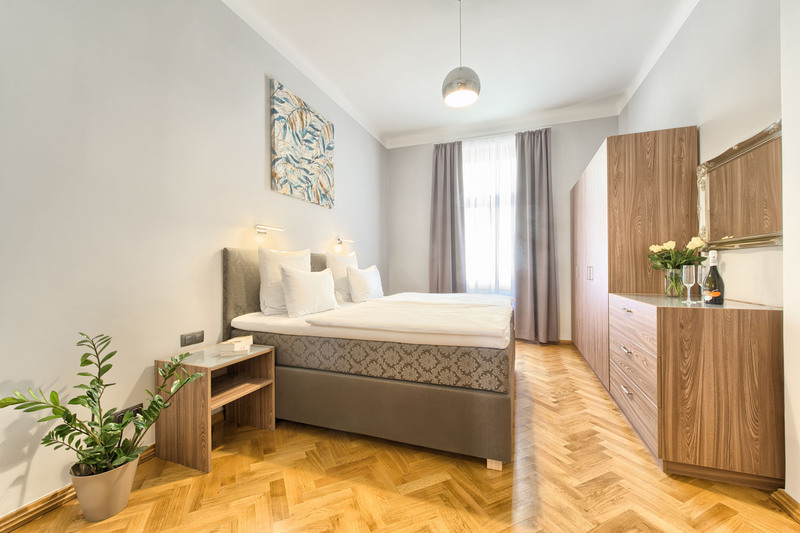 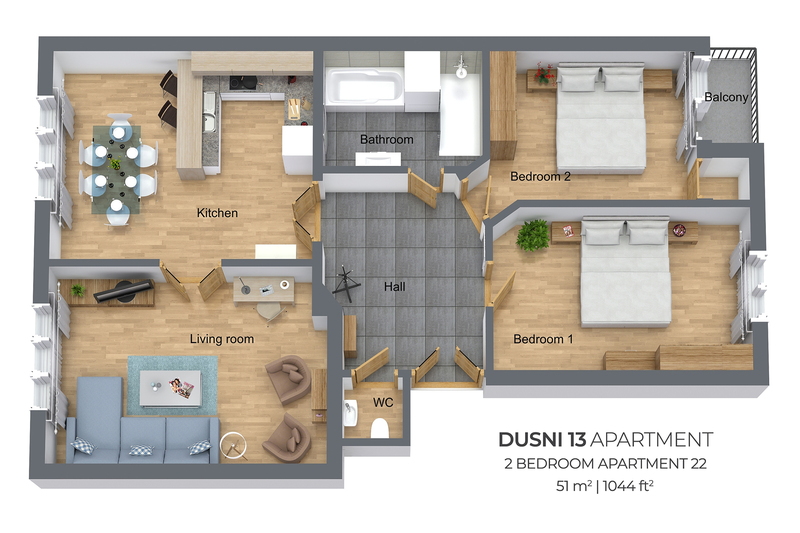 Tastefully designed two-bedroom apartment is situated on the 2nd floor of the historical Art Noveu house, built in the beginning of 20th century. 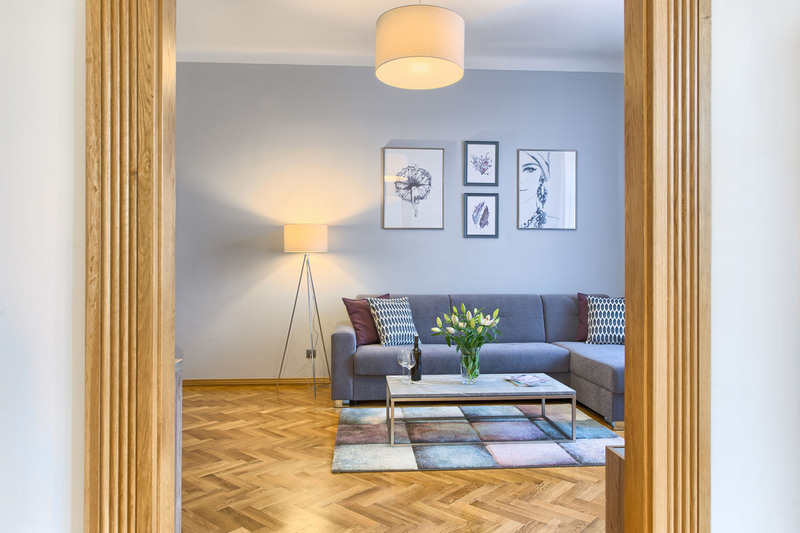 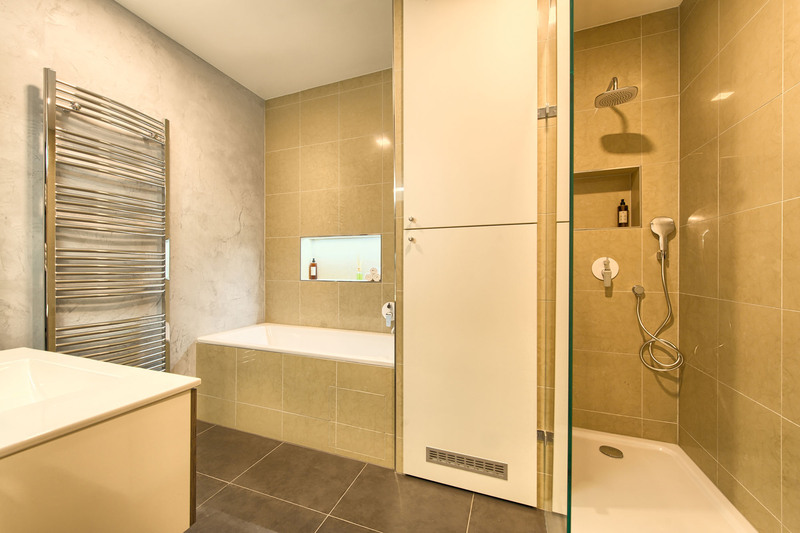 It is completely furnished and equipped and includes fully-fitted kitchen, therefore is ideal for leisure, corporate or even long-term stays. 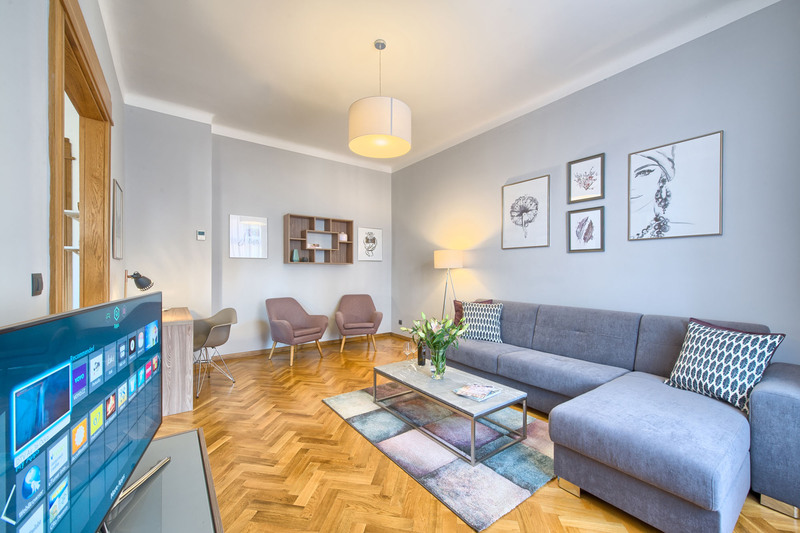 Comfortable sofa in the living room provides an extra sleeping facility for two more guests.